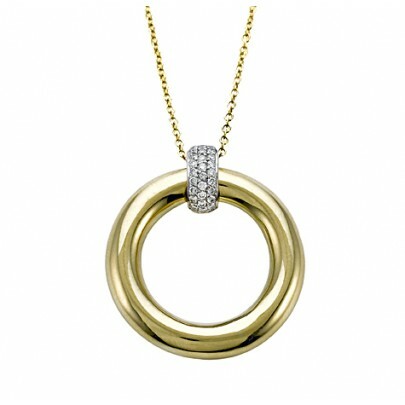 18K Yellow Gold & .15ct. Diamond Bail Pendant. Necklace with 31 Diamonds.